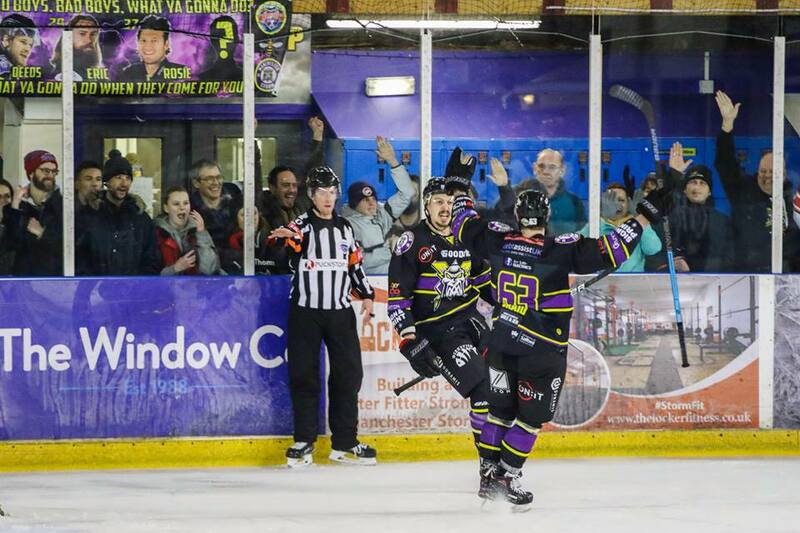 Tickets for Storm’s upcoming game against Patton Conference rivals, The Guildford Flames, can be ordered online HERE, or by calling the Box Office on 0161 926 8782, or in person at the box office. Face-off is 2nd February, 19:00 face-off. Please be reminded there are no home games next weekend 9-10th February. It was great game of hockey from start to finish last night, as both teams came out looking for the win from the very first face-off. It was Storm who scored the first goal, Richardson getting a rebound shot in the net, assisted by Poulin at 5:04. Storm were handed the first two minute penalty of the evening, Braid being sent to the box for clipping at 9:04. Any chance of Devils levelling up on their powerplay were shot down, as Schiestel was given a penalty for holding moments later at 9:47. Both teams held up a fast game of four on four hockey, neither one managing to score another. At 15:42, Moffatt received a two minute penalty for tripping. Despite this being a great chance for Devils to level up, it was Storm who found their second goal when Dane Byers found a short-handed breakaway opportunity – assisted by Hammond and Poulin at 17:10. The Devils came out for the second period determined to pull a few goals back. 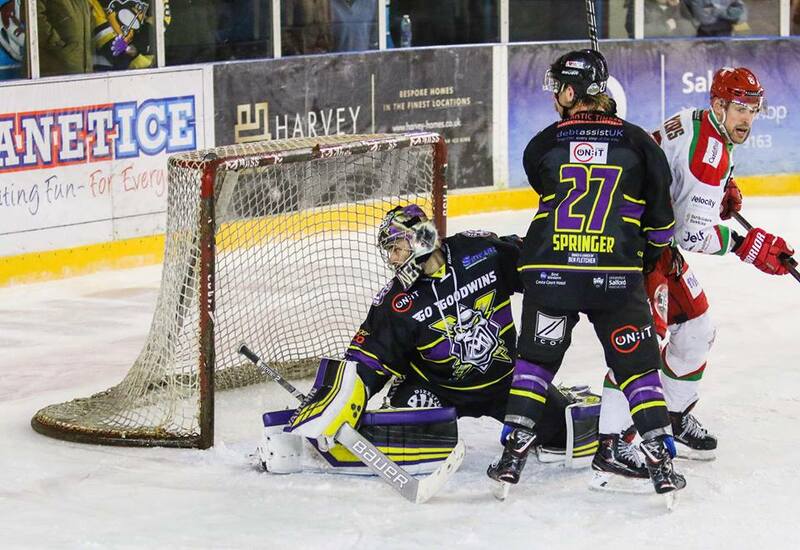 Storm’s defence was strong, picking up all rebounds and netminder – Ginn, also gloving any shots. Devils’ Batch was given a penalty for tripping at 25:35, Storm doing everything they could to score their third on a powerplay. It was Storm’s turn to sit in the box at 32:14, being given two minutes bench penalty for too many men on the ice. Ehrhardt was given a penalty in the final minute of play at 39:42 for roughing, resulting in Devils having a powerplay opportunity during the start of the third period. Despite the second period being goalless, it was a fast and physical game of hockey. Netminder, Bowns taking eight shots on goal, whilst Ginn took 17. Shortly after Storm went back to full strength, Devils scored their first goal at 41:44, scored by Martin and assisted by Pope and Myers. From then on, the Devils pushed for that equaliser goal. Myers was given two minutes for slashing at 47:38. This was closely followed by Martin for interference at 48:51. This gave Storm a push for a third goal, playing five on three hockey. At 55:02, Linsmayer was sent to the penalty box for tripping, Devils’ Myers being given two minutes for goalie interference just 20 seconds later. The final few minutes of the game were tense, as Bowns pulled saw some chances for Devils with an extra player on the ice. It was Ehrhardt who put the puck in an empty net, sealing the 3-1 win and two points for Storm in regulation time with 21 seconds left on the clock. 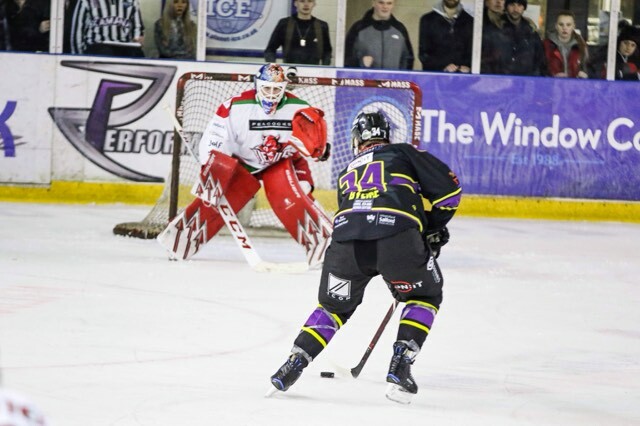 Man of the Match for The Cardiff Devils went to #42 Matt Pope. Player of the Month went to #10 Dallas Ehrhardt. 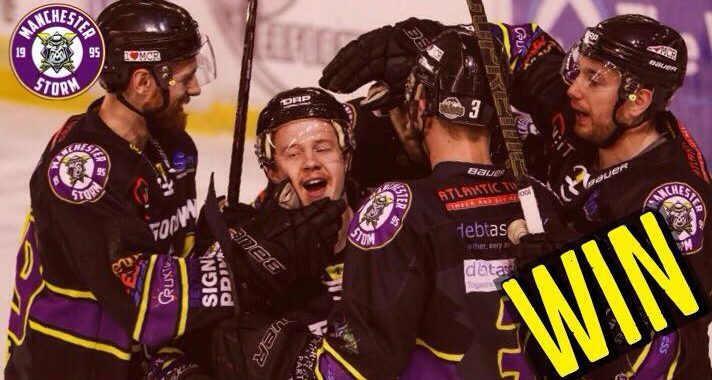 Join us for our next home game against Patton Conference rivals, The Guildford Flames. They visit the Storm Shelter on Saturday 16th February – 19:00PM face-off.